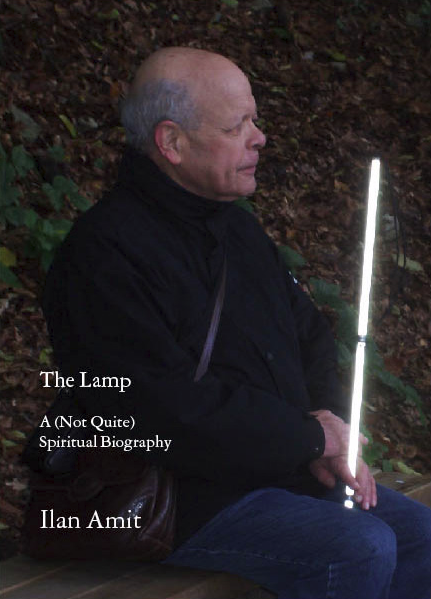 Ilan Amit's autobiographical work, "The Lamp: A (Not Quite) Spiritual Biography", was published in May 2009 by Eureka Editions. "It has often been said that inner growth can come about only in the wake of voluntary suffering. I became blind in middle age. In my experience it is not the suffering in itself that fosters transformation, but the collapse of our carefully constructed shields that comes with it, opening us up for the infinite. My suffering would remain. What of it? Something in me is present to the immensity we are in, with all its absurdity and wonder..."
An excerpt from the book (PDF, 77 pages).